We love items that are decorative as well as functional! 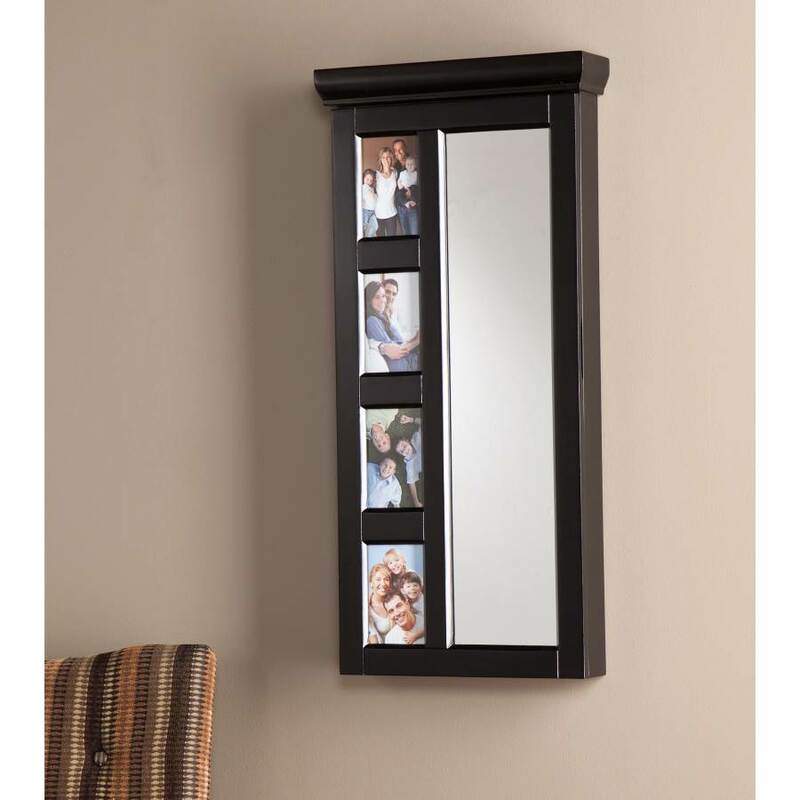 The SEI Moore Photo Jewelry Holder does just that! The front displays four 3x5 photographs alongside a convenient mirror in a striking black finish body. A felt lined interior offers abundant storage with 28 earring notches, 14 double hanging hooks, five cushioned ring rows, and six storage bins. 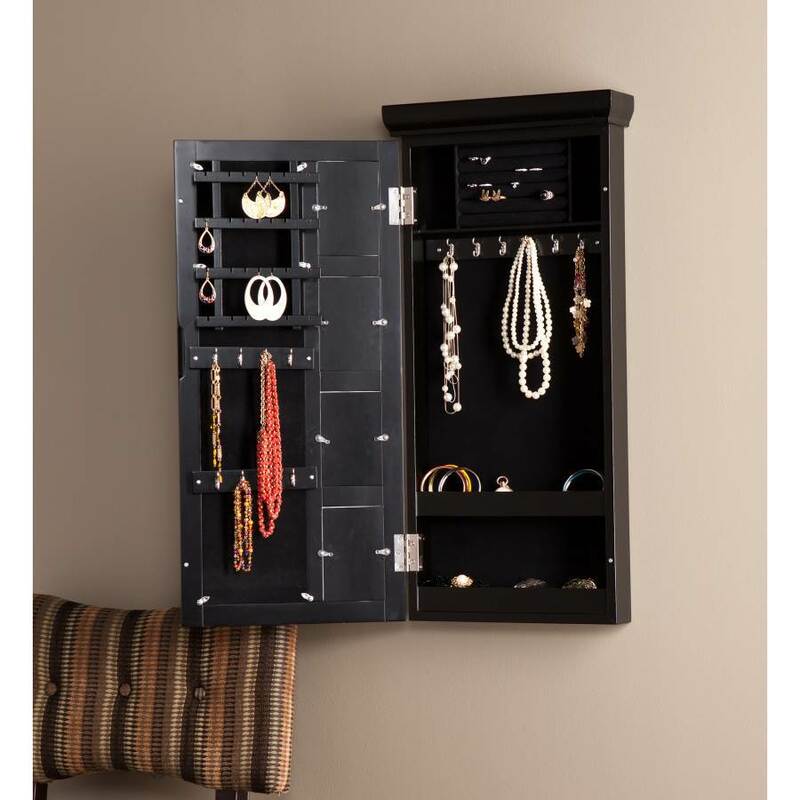 This jewelry storage will work with any decor and is perfect for a bedroom, bathroom or entryway.